METAIRIE, La. 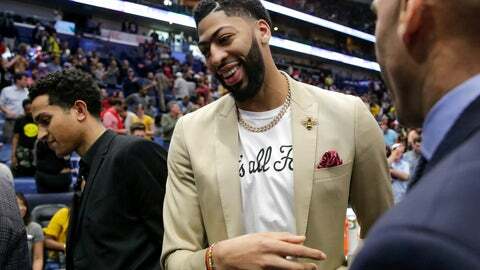 (AP) — A grinning Anthony Davis emerged from the Pelicans‘ weight room holding one of his white No. 23 game jerseys and tossed it over the shoulder of guard Jrue Holiday, mumbling, “so you won’t forget about me,” as he walked away. The Pelicans finished 33-49, which guaranteed they’d finish better than at least six teams. That leaves them with about a 25% chance of jumping up to a top-four selection through the NBA’s draft lottery on May 14.